Out of all the tales of survival to come out of the Nazi concentration camps, Eva Clarke's is one of the most remarkable. On April 29, 1945 she was born in the midst of the horrors of the notorious Mauthausen death camp. Her mother Anka had spent years in three different camps, and weighed an impossibly fragile five stone when she gave birth. Eva herself, born weighing a tiny three pounds, was swaddled in newspaper and survived against all the odds. Now living in Cambridge, she has two sons, four grandchildren and travels the world educating people about the Holocaust. To recognise Holocaust Memorial Day today (Saturday, January 27), the News spoke to Eva about what motivates her to keep telling her heartbreaking story. 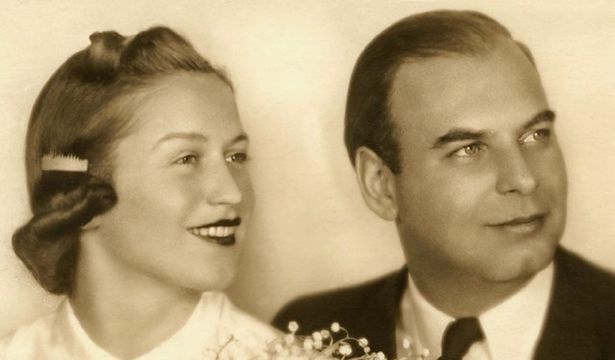 Eva's mother Anka and father Bernd, both of Jewish heritage, married in 1940 and were living in Prague when the war hit Czechoslovakia. The couple eventually received summons to report to a warehouse before being sent out to the Nazi's camps. They were sent to Terezin, a former Czech barracks turned into Jewish ghetto, where prisoners slept 20 to a room. Eva previously told the News: "It was a prison. There was very little food, and it was incredibly crowded. To a large extent Terezin was a transit camp for the death camps. "But because my parents were young, strong and quite capable of work, they remained there for three years." During this period Anka fell pregnant, but sadly lost her son to pneumonia just two months after he was born. In September 1944, Bernd was sent to Auschwitz and Anka volunteered to follow him. "Being the eternal optimist, she thought 'Well nothing could get any worse'. She never saw him again," Eva said. Arriving at the infamous prison camp, Anka was once again pregnant and nobody knew. Her 10 days in Auschwitz were full of horrors - the smell, the sorting of prisoners by who was fit to work or not, the starvation and the disease. Anka and other prisoners were eventually trucked to a Freiburg armaments factory where they worked as slave labourers for six months, working long hours for little food. "It was horrendous," said Eva. 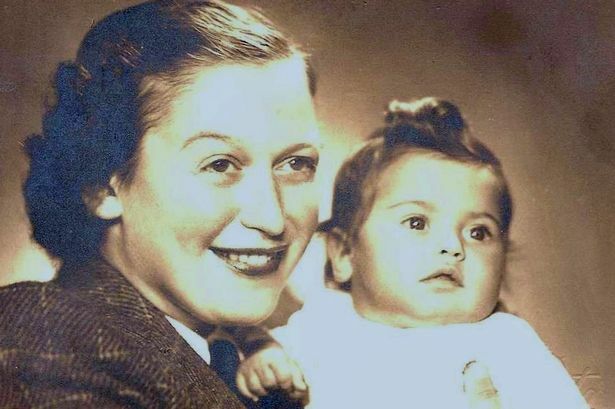 "She was becoming more and more starved, and more and more obviously pregnant, which was very dangerous because had the Nazis realised, they might well have sent her back to Auschwitz to be killed." In April 1945 her mother was put on a train with hundreds of other women to be gassed at the Buchenwald death camp. The women were crammed together, with no food and little water, for 17 days. But Buchenwald was liberated, so the train was diverted to Mauthausen, a camp in Austria. "When she saw the name, she said that's when labour started," said Eva. "She had to climb onto a cart with the other prisoners who were not strong enough to walk to the camp, and she had people lying all over her with typhus and typhoid fever. "She thought she was about to die. But we both survived." Today Eva says there are three reasons why she believes she and her mother made it through those last days of the war. On April 28 the Nazis had run out of gas for killing prisoners - Eva was born on April 29. On April 30 Adolf Hitler had committed suicide and on May 5 the American army liberated Mauthausen. "My mother reckons she wouldn't have lasted much longer, she was so weak," said Eva. Anka's entire immediate family - her parents, two sisters and 8-year-old nephew - had all died in the Nazi camps. Bernd had been shot dead just nine days before Auschwitz was liberated. In 1948 Anka married Karel Bergman - a Jewish Czech who'd escaped in 1939 and joined the RAF as an interpreter - and the family moved to Wales. It was not until she was around six or seven years old that Eva began to have some understanding about her mother's past. "When we came to this country we settled in Cardiff, my mother, my step-father and I," Eva explained. "Because I didn't have any uncles and aunts and grandparents and cousins around the place, I was always asking my mother about her life growing up, her school days, her hobbies, her sports and about members of my family. "Interspersed with those very ordinary family stories, she would tell me of her war time experiences, in tiny snippets as she felt that I was able to cope with the details." Eva has a very vivid memory of the very first time her mother began to open up to her about the war. "I came home from school and I noticed on the back of the kitchen door there was a brown suede shopping bag and it had the initials AN on it," Eva said. "I said 'what are those?' and she took a deep breath and 'thought here we go'. "She said well you've heard about the war, so she said 'well you had two daddies one daddy was killed during the war and now you have another daddy'." "I just took it, children at that age you just accept it. "She said that because I was like a sponge I kept asking questions all the time. As I grew older the responses grew more detailed. "I'm very grateful for the fact that she did tell me very gradually because I think if she never said a word and sat me down when I was 13 or something and said 'I've got something to tell you' it would have come as a hell of a shock." It was not until 2000 that Eva herself began telling others publicly about her birth and her mother's experiences. She had moved to Cambridge and worked at Cambridge Regional College for 20 years where she started talking to students and staff. Her activities and confidence gradually grew to the point where she now travels the world giving talks about the Holocaust. "I feel it's my duty to do," she said. "I'm pleased to be able to do it. I'm not a teacher. It came as a whole revelation to me, my mother, my husband, that I can speak in public." Eva says that her central motivation is to commemorate all the members of her family who lost their lives, to learn lessons from the Holocaust and to counteract racism and prejudice. "I tell one family's story," she added. "As many as there are survivors, there are that many different stories. They are all unique. "Just think about all the genocide since, think about Cambodia, Rwanda, Bosnia, Darfur, so it goes on. Do we add Rohingya now? "The only way we can counteract all these things is through education, in my opinion. "It's devastating. Why don't people learn? "Professor Helen Weinstein, she just made a quote to me recently and it just stuck, she said the phrase used to be never again, now we could use the phrase yet again. Which is tragic." Today, Eva's various activities include supporting the Holocaust Educational Trust (HET), the Anne Frank Trust and the National Holocaust Centre. 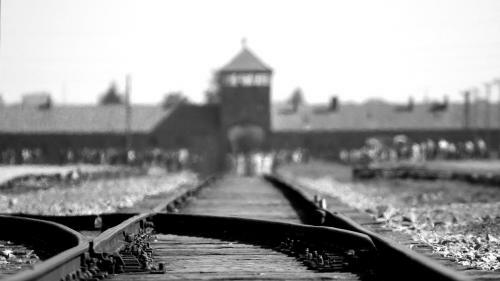 The HET regular sends schoolchildren from across the UK on trips to Auschwitz in Poland. Students learn about the horrors of the camps, meet survivors, discuss their experiences with their peers and then act as trust ambassadors in their schools. "Schools have been doing it for years. It's very encouraging that they keeping common back," said Eva. "There's several schools now I've been going to for well over 10 years. "It's vital. it's absolutely vital. Especially in this day and age when these all far right groups are mushrooming all over Europe and in the States. That is very worrying. For the Anne Frank Trust Eva goes to talk to inmates in prison and also accompanies school trips to the National Holocaust Centre in Newark. 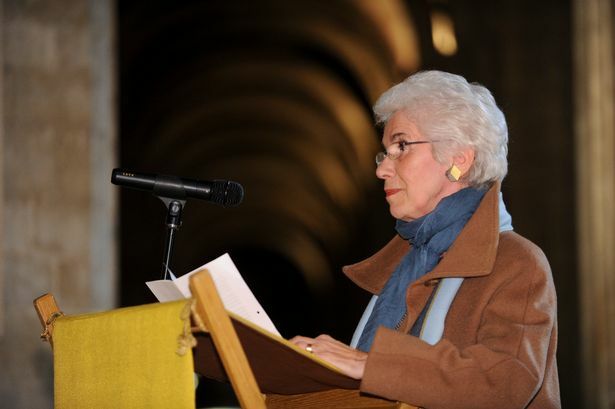 In the run up to Holocaust Memorial Day, she is often in much demand and this year has been speaking at churches, schools and synagogues across Cambridge. "It's not easy. I'm not just telling a story, I'm talking about my my family, most of whom were killed," she admitted. "The emotions don't always show but I'm always churning away inside. "I can never predict what triggers it. I quite often become emotional about the happy things, the good things that happened afterwards. "There's nothing wrong in showing emotions, it's just it makes it a bit difficult to speak." 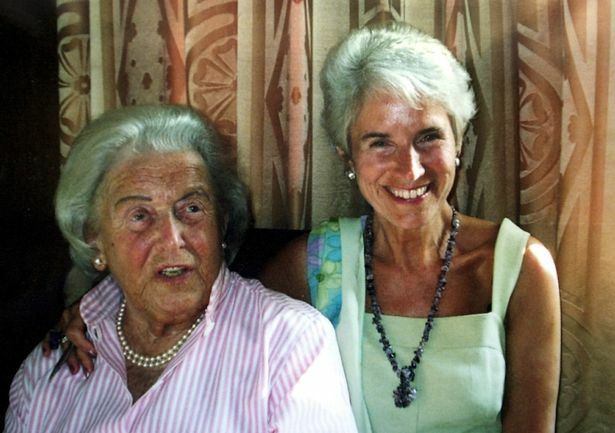 Eva's mother, who died aged 96, was "very supportive" of her daughter's efforts to educate others. 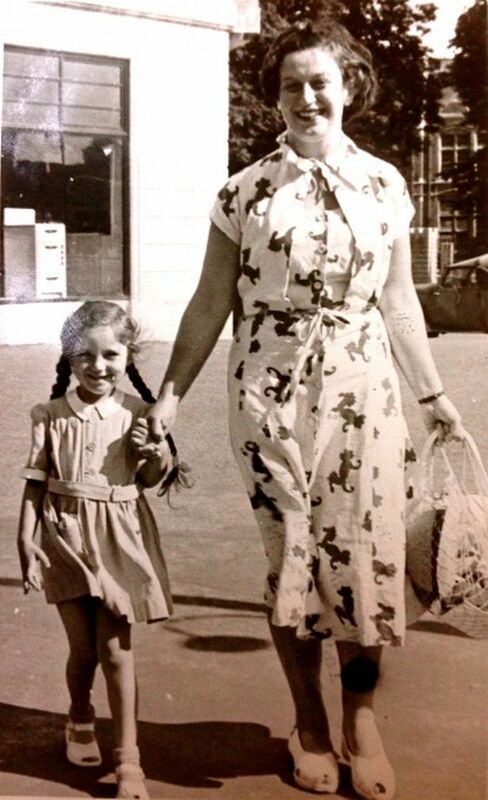 "My mother always said if it hadn't been for me she wouldn't have met the Queen. That was quite something," said Eva. "Hopefully I will be able to continue because [other survivors] are getting more frail and less able to travel. I'm very happy to go anywhere, I'm on the road all the time." Eva said she always loved hearing her mother's stories and always encourages the children she met to talk to their older family members. "She thought about her family an awful lot, but she said now hundreds and hundreds of people know that they existed," said Eva. "It's the only way that people live on, through our remembering of them. "I always say to them go home and talk to your family and ask questions. Every family has a story, if you don't ask questions all the oral history will disappear. It's your heritage. "Nowadays grandparents find it easier to speak to their grandchildren or great grandchildren when they would never have spoken to children as it was too hard. Often people open up to grandchildren. "Nobody can identify with six million but we can all identify with one family, so you make the history come alive." Hundreds of Cambridgeshire pupils will take part in a moving ceremony at the Guildhall in Cambridge tomorrow (January 28) to remember the horrors of the Holocaust. 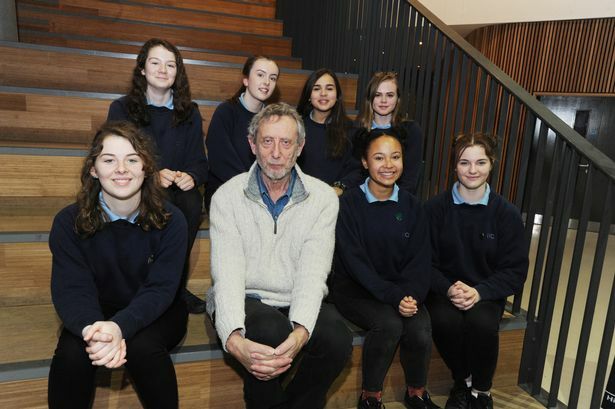 TV presenter and former children's laureate Michael Rosen has been helping them to write some amazing poems and songs to be performed there. 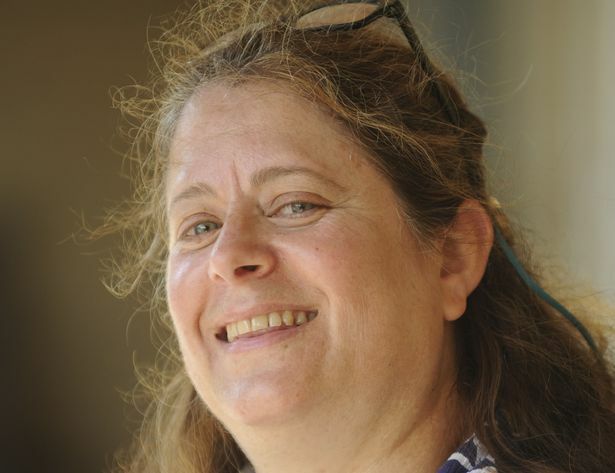 Helen Weinstein, of the Historyworks organisation, who has been masterminding the project, said: "The theme of the event is ‘The Power of Words’. "The Holocaust perpetrated by the Nazis, and subsequent genocides in Cambodia, Rwanda, Bosnia, and Darfur, show us how words have been used in the past to cause and inspire hate, to encourage and justify violence. "However words can also be used as a force for good. "The civic ceremony at the Guildhall will comprise songs, readings, poetry and drama, all inspired and interspersed by moving words from survivor testimonies and uplifting words from groups actively campaigning for equalities and supporting diversity today. 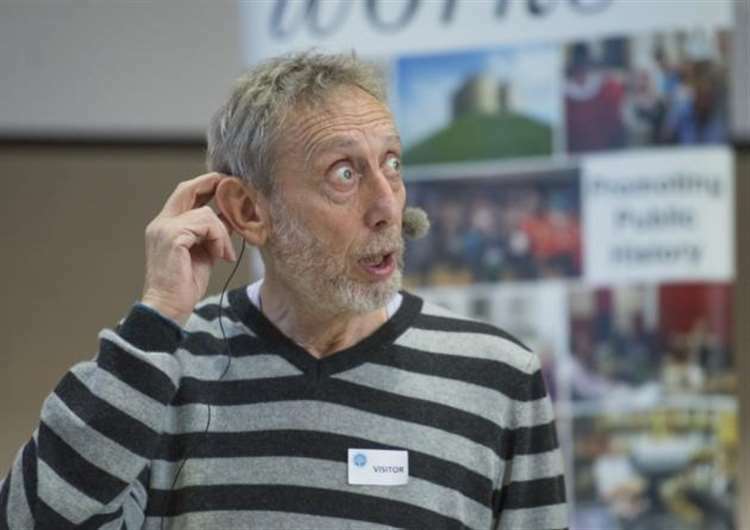 "The schools involved in workshops with Michael, organised by Historyworks over the past months, include Coleridge Community College, Trumpington Community College and Parkside Community College of the Parkside Federation. "At primary level, children from Abbey Meadows, Ridgefield, St Philip’s, and St Matthew’s have also been involved, and many schools have also experienced special Holocaust Memorial Day assemblies." Michael said: "The magic of words is that they can conjure up what is not there, what has disappeared, and much worse, what has been removed or exterminated. "With the power of words, we bring back all those who were destroyed, all those who perished." 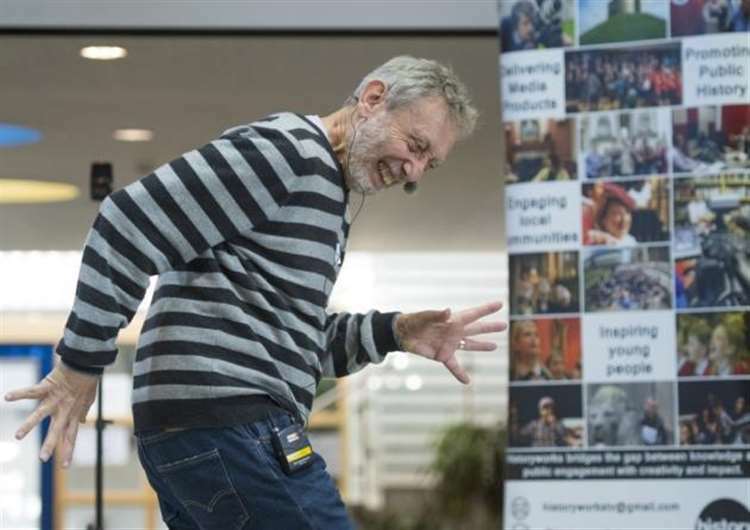 Top poet hosts creative workshop at Coleridge Community College. 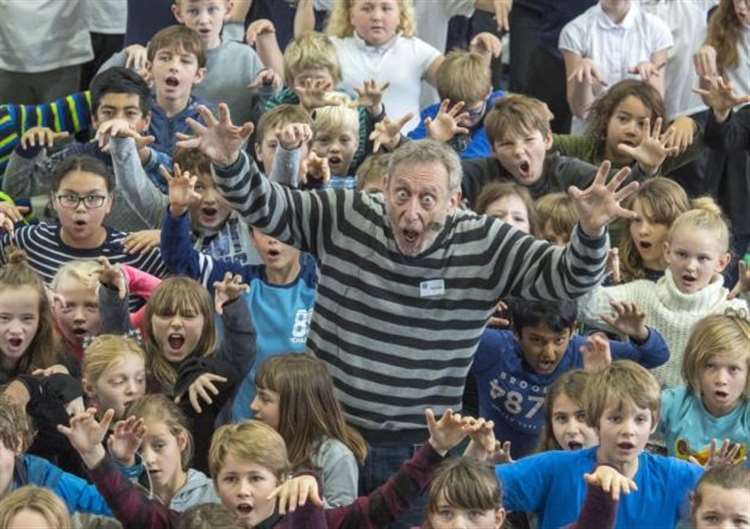 Top poet and writer Michael Rosen hosted a creative workshop for 440 Cambridge schoolchildren as part of a Historyworks project. Entitled Rhythm, Rhymes and the Railways, the project was led by Historyworks founder Helen Weinstein. She has been researching diverse Cambridge histories to inspire poems and songs about local people and places. 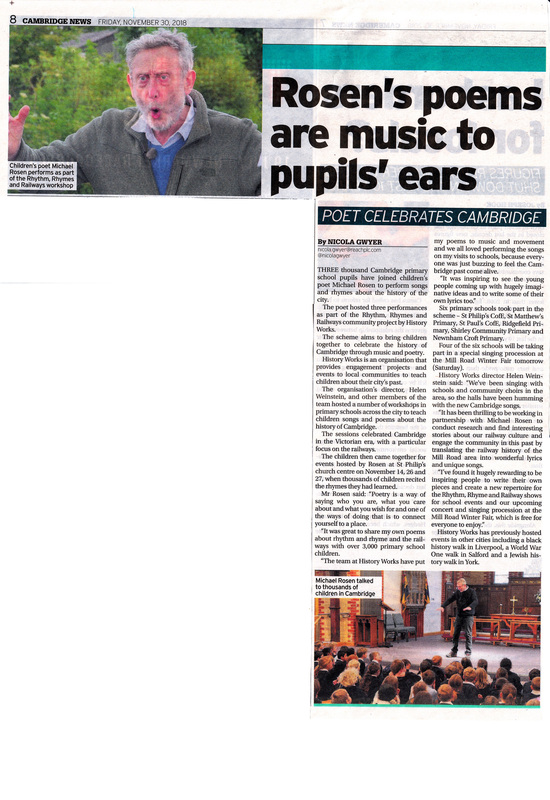 The event was held at Coleridge Community College and Mr Rosen performed his new poem about the railways coming to Cambridge in 1845, which he did in front of hundreds of children from St Matthew’s, Ridgefield, Morley Memorial, St Philip’s and Coleridge. The new poem is called ‘Cambridge Excursions to London and Back’. He said: “I’m working in Cambridge as a kind of ‘poet in residence’ with Historyworks. “We’ve been using history, looking and learning about the people and places of the past in a local area to inspire history. I really believe that connecting children to the past all around them is important. “We can explore this history through photos, old papers, and books. “It was inspiring to see the young people coming up with hugely imaginative ideas and lyrics to write our new poem together. 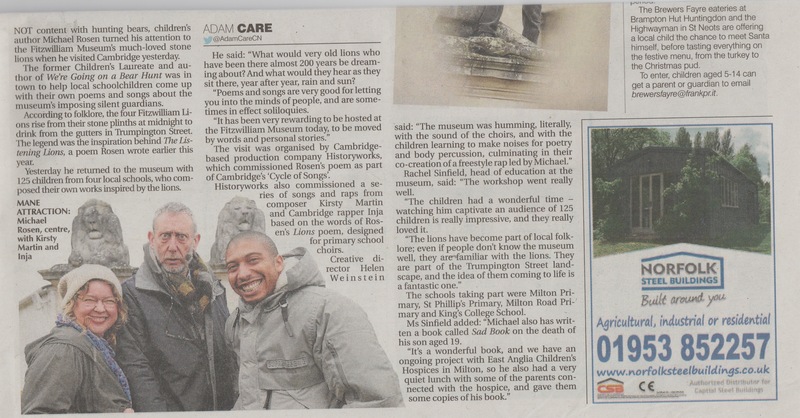 “It has been very rewarding to be hosted by Historyworks, co-create with children across Cambridge and to see the poetry they are in the process of composing. 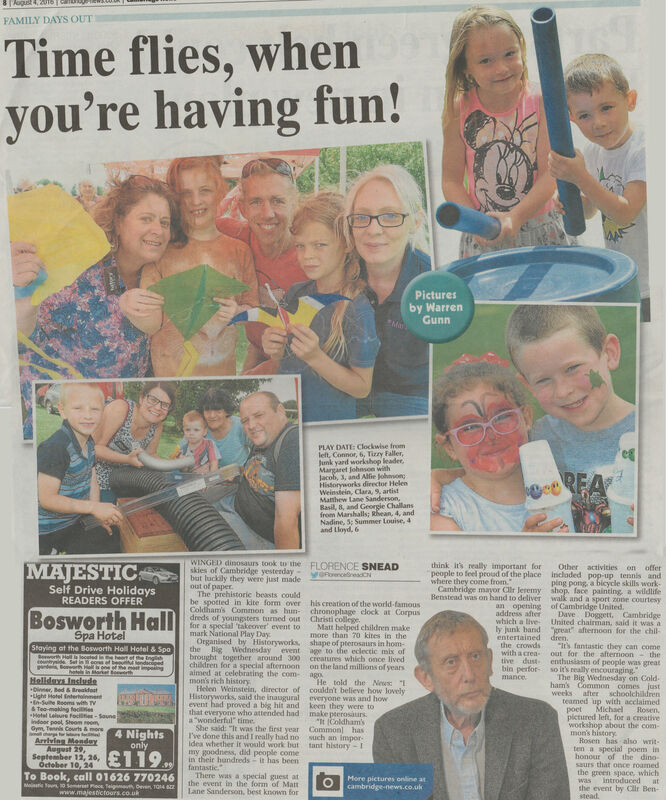 St Matthew’s headteacher Tony Davies added: “We were delighted to have the Historyworks team to come and sing with the children to learn about the arrival of the railways through song. 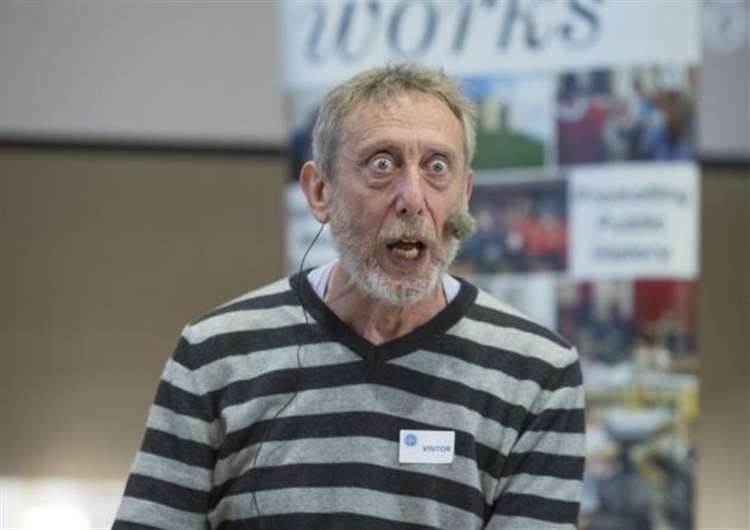 “The workshop with Historyworks and Michael Rosen was totally stunning, and the children got so much out of it, they were really buzzing afterwards. “The walk through Victorian Romsey and across the railway bridge was very apt for a ‘Rhythm and Railway’ history-themed creative writing workshop. 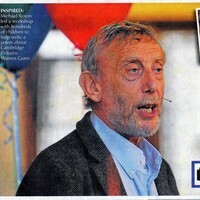 Michael Rosen shared his own poems with rhythm and showed the children how to write their own poems using rhythm and rhyme. Grab your mobile, head outside and learn more about the city where you live by joining a new geocache walk this spring. The walks, which will utilise a mobile phone’s GPS, will be launched in March. Residents will have the chance to pop along to an opening event where they can find some help in getting to grips with the geocaching craze. The walks build on Historyworks’ work with schools, moving the classroom outside into the rich historical and cultural setting of Cambridge. Helen explained: “As a historian, I try to help people engage with the past and create an emotional connection. If we can allow that to happen, children can have a much better sense of belonging. They could have been living in Cambridge for years without having felt that. “For quite a lot of children, the shopping centres might be as far as they have come into the city centre. A lot haven’t been to the historical centre of the city, some haven’t seen the River Cam and some haven’t seen swans. “We know that when children go on school trips they love visiting museums and galleries, but they don’t think of going with their families is an option. Historyworks holds creative workshops with children and then returns to museums and galleries in the city so the pupils, mostly in Year 5 of primary school, have the chance to show their work to their parents. Other popular visits include climbing the tower of Great St Mary’s Church and visiting Coldham’s Common, where coprolite mining (digging up fossilised dinosaur dung) used to take place. The first geocaching event will be held on Sunday, March 19. Holocaust Memorial Day on Sunday commemorated the victims of the Holocaust with an exploration of ‘The Power of Words’ in Cambridge. A civic ceremony held at the Guildhall came a day after the 73rd anniversary of the liberation of Auschwitz-Birkenau. This year’s theme saw emotive speeches and performances addressing discrimination, political speech, and the partnership of words and action. Eva Clarke, who was born in Mauthausen concentration camp six days before it was liberated by the American army, introduced the event. Her father and 14 other family members were murdered at Auschwitz-Birkenau. Another speaker, Jo Ingabire, was five years old when the Rwandan genocide broke out in 1994. She spoke of the trauma when her father and three of her siblings were killed when the family was attacked in their home. Jo, her mother, and two of her siblings suffered severe gunshot wounds and spent the rest of the genocide in hiding. Other speakers included Graham Lewis, who spoke about the negative impact of verbal abuse suffered by disabled people; Peter Lantos, who survived imprisonment in Bergen-Belsen concentration camp and went on to become a top doctor and writer; Daniel Zeichner MP, who spoke about the positive and negative power of political speech; and Elliot Harris, the chairman of Cambridge Calais Refugee Action, who argued that words are ‘dead’ without action. Between each speech were performances involving scores of Cambridge schoolchildren. Many of these performances were based on the work of poet Michael Rosen who lost relatives in the Holocaust. Holocaust denial apparently survives, even in Cambridge. Last year, flyers were left on car windscreens at the Sidgwick Site referring to notorious Holocaust denier David Irving, who famously sued American professor Deborah Lipstadt for libel over the issue. The flyers also quoted Michael Hoffman, an American conspiracy theorist. Although Holocaust Memorial Day has passed, Cambridge City Council has planned numerous public events during which the University’s students can live up to the example set by the town’s residents. On Wednesday, a film screening and panel discussion about the Holocaust will take place at Anglia Ruskin University. 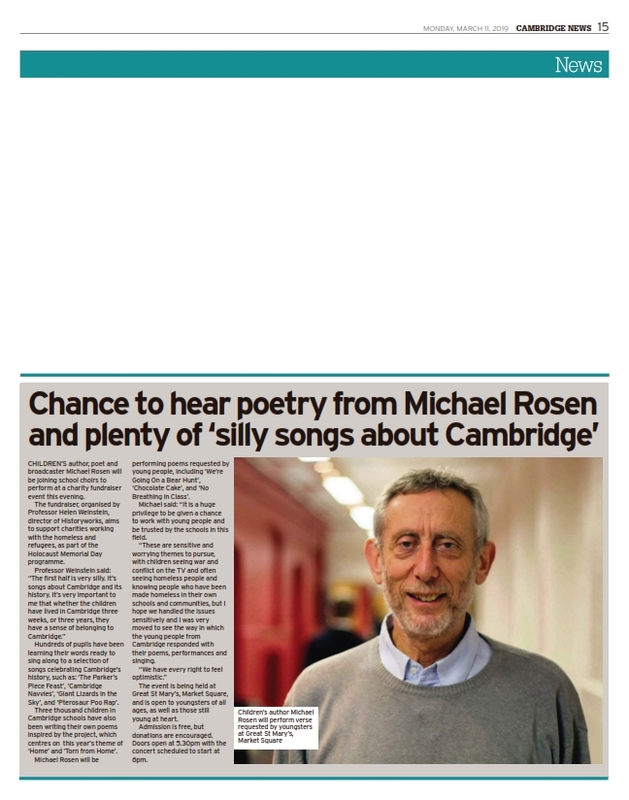 On 7th March, Michael Rosen and the choirs involved in Sunday’s event will perform at a fundraiser for refugees and migrants. On 29th March, King’s College will be hosting a choir performance and talk commemorating Etty Hillesum, whose diaries documented her life until she was murdered at Auschwitz. One of the great symbols of Victorian Cambridge is the city's old pumping station down by the river, now the Museum of Technology. It is much loved by adults and children alike for its marvellous old engines, and from tomorrow, visitors will be able to take a tour of the exhibits using the latest technology. A special pilot 'trail' has been set up in the museum, using Bluetooth beacons, which hook up with people's smartphones and tablets to help them navigate from place to place. The system has been devised by Helen Weinstein, director of Cambridge's HistoryWorks organisation, in collaboration with Pam Halls, the museum's curator. Technical assistance has been provided by Jonny Austin of ARM. Helen said: "Visitors can use the free trail to deliver an audio guide, transcription, and photographs of the pumping station. The trail takes the visitor on 12 stops, and is narrated by Pam. At at time when we are all talking about rapid growth in Cambridge housing, it's important to remember times when the housing developments of Barnwell and Romsey caused massive drainage and sewage problems, and the high mortality rate of children was shocking. It was an amazing turnaround in life expectancy once the pumping station was built in 1894." Primary School children wrote a poem inspired by Cambridge - with a little help from an acclaimed wordsmith. 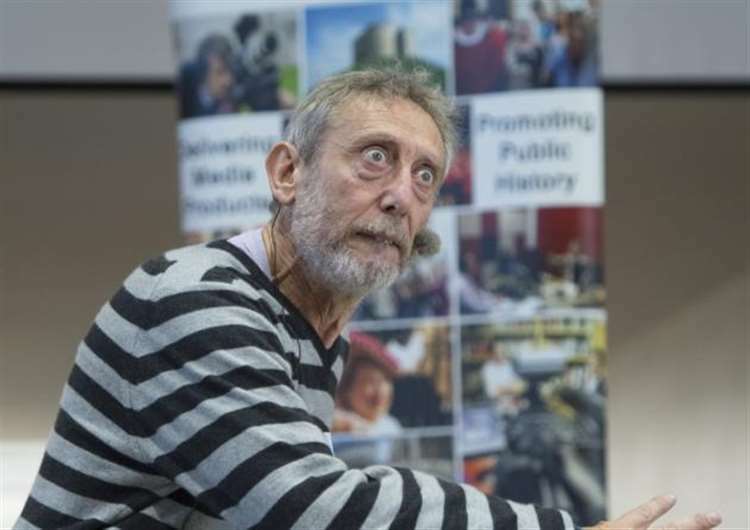 Michael Rosen was on hand to lead a creative workshop as part of an ongoing Historyworks project to get children excited about their city's history. Rosen also read a poem he wrote about Coldham's Common. Helen Weinstein, Creative Director at Historyworks said: "This project has been enormous fun to see the children be creative with words, with song, with rhythms. 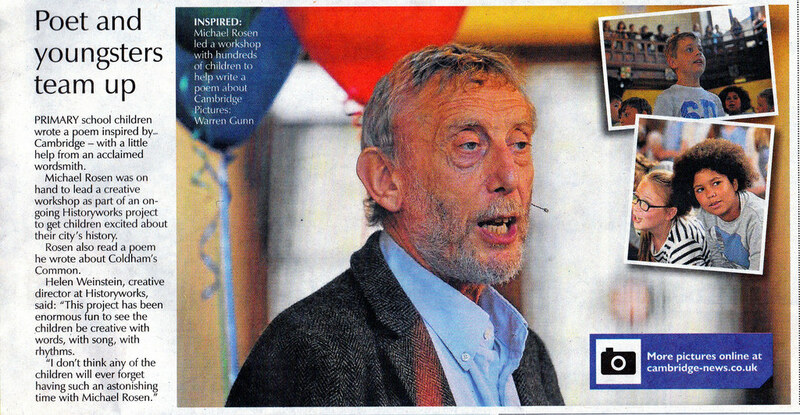 I don't think any of the children will ever forget having such an astonishing time with Michael Rosen." 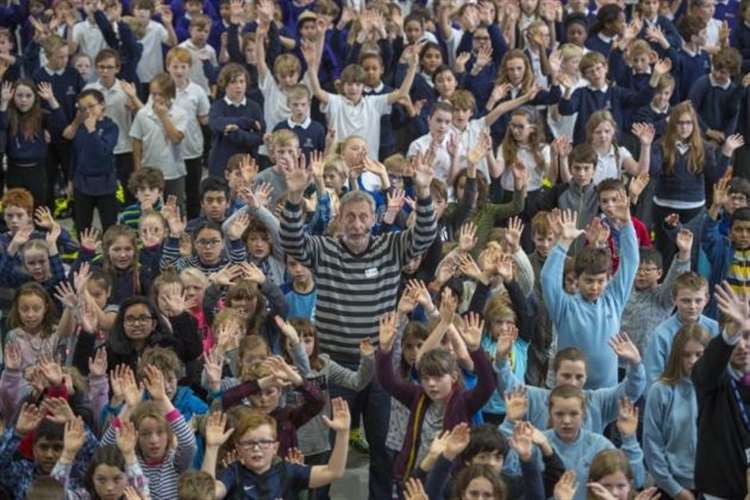 Cambridge Museum of Technology was filled with the sound of young voices last night as hundreds of school children welcomed the return of the annual festival. 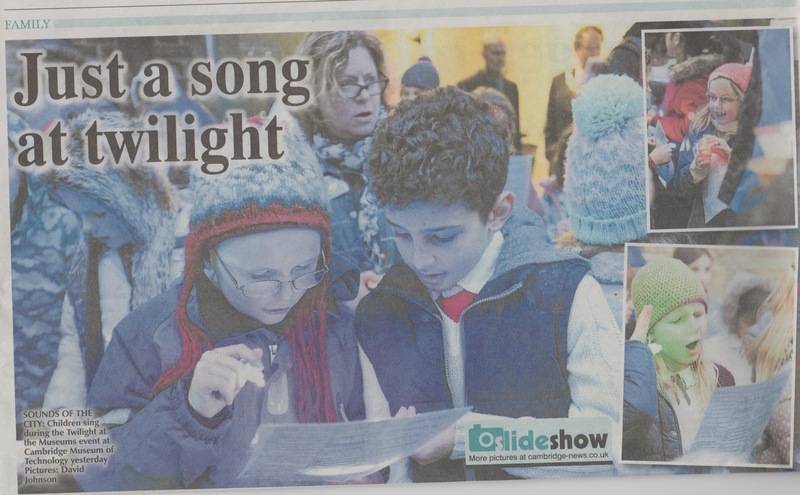 The choir, starring some 400 youngsters, heralded the arrival of Twilight at the Museums, which saw museums across the city lay on a host of torchlit activities. The event, now in its 10th year, was officially launched by Cambridge mayor Rob Dryden before audiences were treated to a medley of songs commissioned by CBBC's Horrible Histories songwriter Dave Cohen. 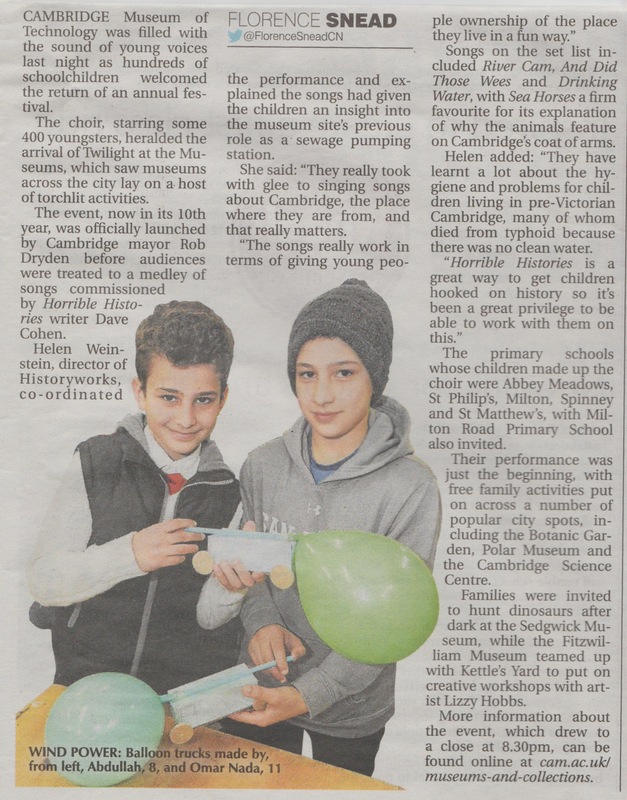 Helen Weinstein, Director of Historyworks, who organized the event including the performance, explained the songs had given the children an insight into the museum site's previous role as a sewage pumping station. She said: "They really took with glee to singing songs about Cambridge, the place where they are from, and that really matters. The songs really work in terms of giving young people ownership of the place where they live in a fun way. Songs on the set list include River Cam, And Did Those Wees and Drinking Water, with Sea Horses a firm favourite for its explanation of why the animals feature on Cambridge's Coat of Arms. Helen added: "They have learnt a lot about the hygiene and problems for children living in pre-Victorian Cambridge, many of whom died from typhoid because there was no clean water. Horrible Histories is a great way to get hooked on history so it's been a great privelege to be able to work with the CBBC's songwriters on this. The primary schools whose children made up the choir were Abbey Meadows, St Philip's, Milton, Spinney and St Matthew's, with Milton Road Primary School also invited. 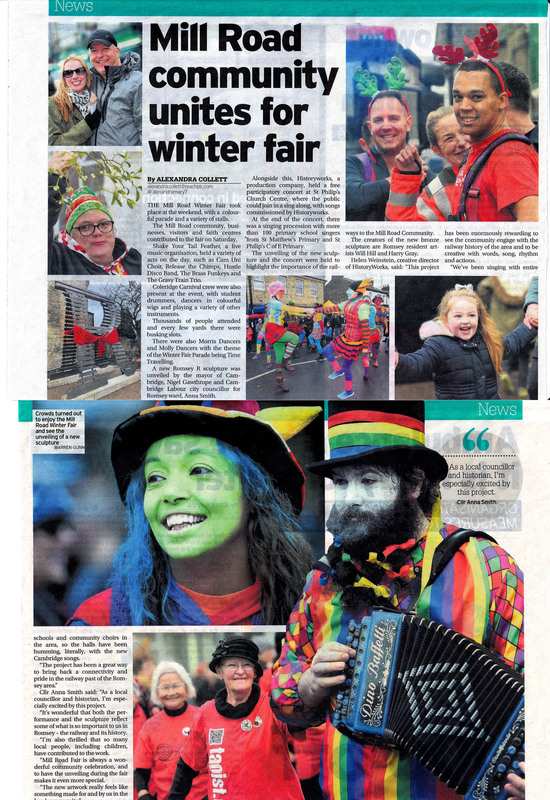 Their performance was just the beginning, with free family activities put on across a number of popular city spots, including the Botanic Gardens, Polar Museum and the Cambridge Science Centre. Families were invited to hunt dinosaurs after dark at the Sedgwick Museum, while the Fitzwilliam Museum teamed up with Kettle's Yard to put on creative workshops with artist Lizzy Hobbs. Cambridge schoolchildren have been using futuristic technology to develop a better understanding of the past. 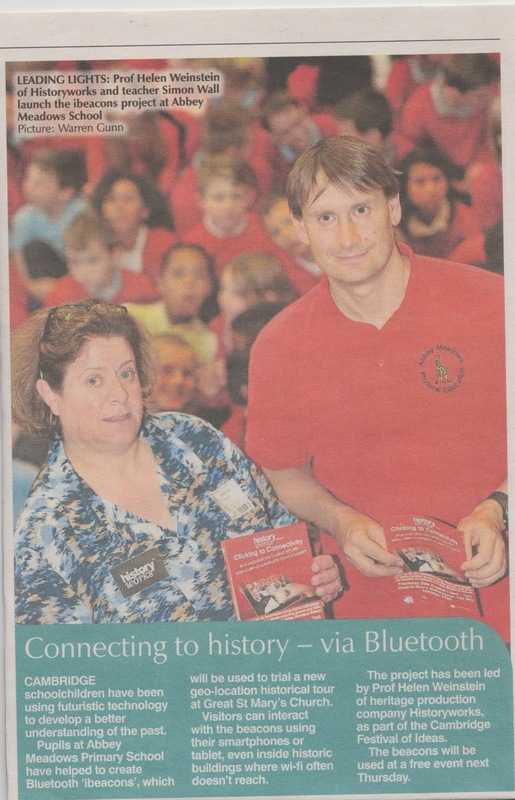 Pupils at Abbey Meadows Primary School have helped to create Bluetooth 'ibeacons', which will be used to trial a new geo-location historical tour at Great St Mary's Church. Visitors can interact with the beacons using their smartphones or tablet, even inside historic buidlings where wi-fi often doesn't reach. The project has been led by Prof Helen Weinstein of heritage production company Historyworks, as part of the Cambridge Festival of Ideas. The beacons will be used at a free event next Thursday at Great St Mary's and around Cambridge Market Place. 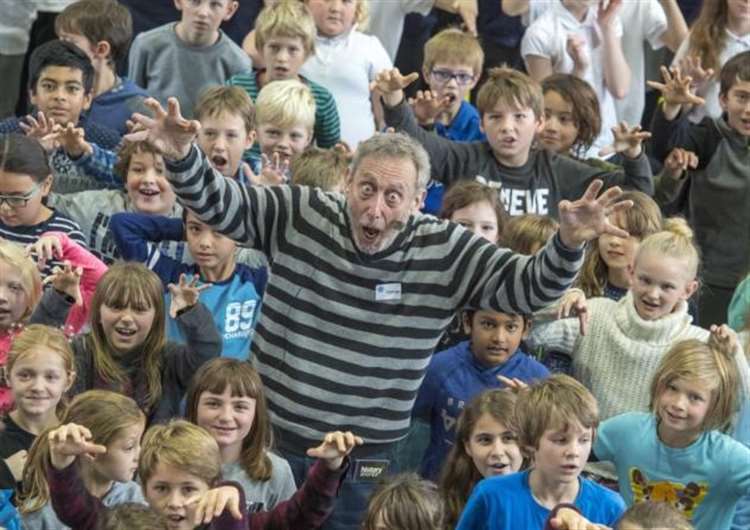 Not content with hunting bears, children's author Michael Rosen turned his attention to the Fitzwilliam Museum's much-loved stone lions when he visited Cambridge yesterday. 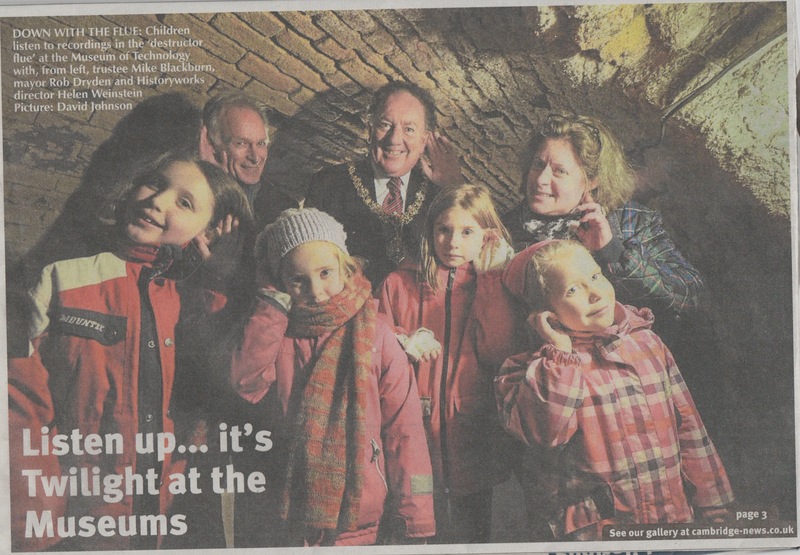 The former Children's Laureate and author of We're Going on a Bear Hunt was in town to help local schoolchildren come up with their own poems and songs about the museum's imposing silent guardians. According to folklore, the Fitzwilliam Lions rise from their stone plinths at midnight to drink from the gutters in Trumpington Street. This legend was the inspiration behind The Listening Lions, a poem Rosen wrote earlier this year. Yesterday he returned to the museum with 125 children from four local schools, who composed their own works inspired by the lions. He said 'What would very old lions who have been there almost 200 years be dreaming about? And what would they hear as they sit there, year after year, rain and sun? "Poems and songs are very good for letting you into the minds of people, and are seomtimes in effect soliloquies. "It has been very rewarding to be hosted at the Fitzwilliam Museum today, to be moved by words and personal stories. The visit was organised by Cambridge-based production company Historyworks, which commissioned Rosen's poem as part of Cambridge's 'Cycle of Songs'. 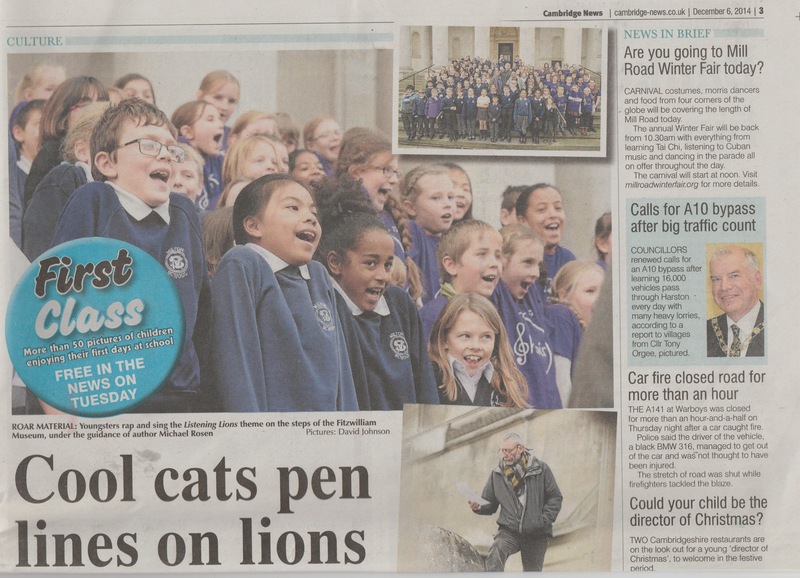 Historyworks also sommissioned a series of songs and raps from composer Kirsty Martin and Cambridge rapper Inja based on the words of Rosen's Lions poem, designed for primary school choirs. 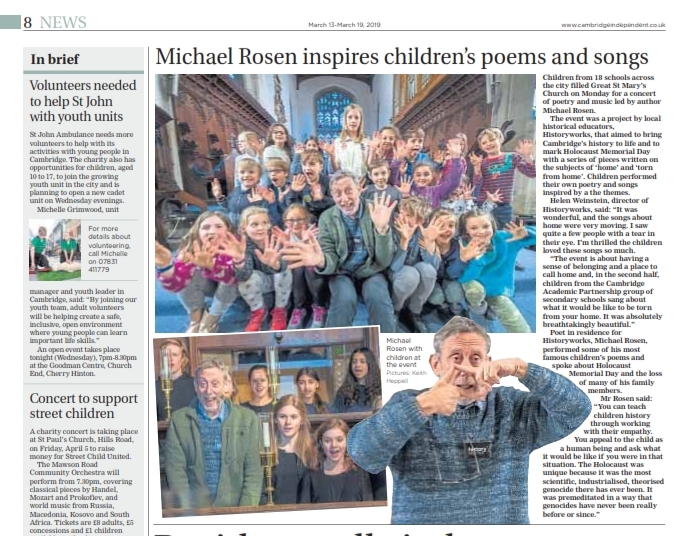 Creative director, Helen Weinstein said: "The museum was humming, literally, with the sound of the choirs, and with the children learning to make noises for poetry and body percussion, culminating in their co-creation of a freestyle rap led by Michael." 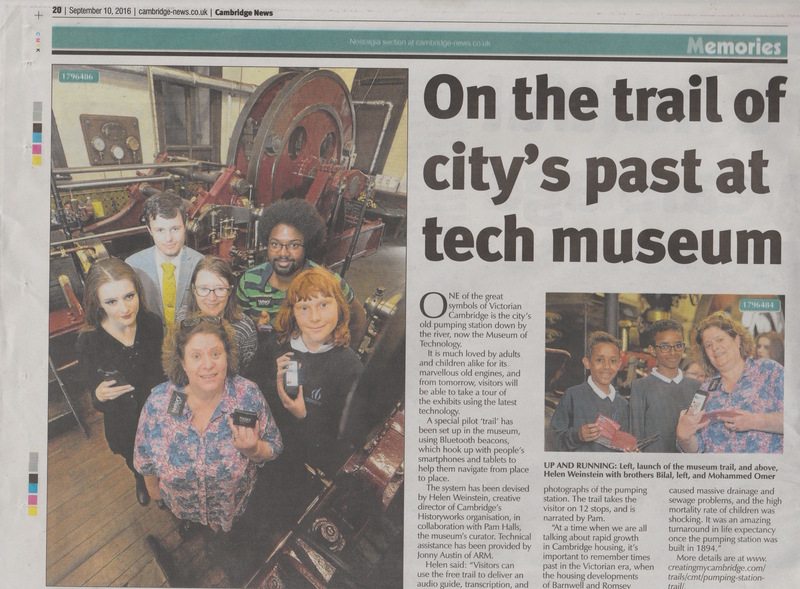 Rachel Sinfield, head of educationat the museum, said: "The workshop went really well. "The children had a wonderful time - watching him captivate an audience of 125 children is really impressive, and they really loved it. "The lions have become part of local folklore: even if people don't know the museum well, they are familiar with the lions. They are part of the Trumpington Street landscape, and the idea of the Lions coming to life is a fantastic one. The schools taking part were Milton Primary, St Phillip's Primary, Milton Road Primary and King's College School. Ms Sinfield added: "Michael also has writtena book called Sad Book on the death of his son aged 19. "It's a wonderful book, and we have an ongoing project with East Anglia Children's Hospices in Milton, so he also had a very quiet lunch with some of the parents connected with the hospice, and gave them some copies of his book." All content © Copyright 2015- Historyworks Ltd.